Listed below and updated daily from the MLS are condos for sale in Grand Sierra Lodge, a condo development located in Mammoth Lakes, CA. For additional information on any of these Grand Sierra Lodge condos for sale in Mammoth Lakes, click the "Request More Information" button when viewing the details of a property. We can provide you with disclosures, past sales history, dates and prices of condos recently sold nearby, and more. 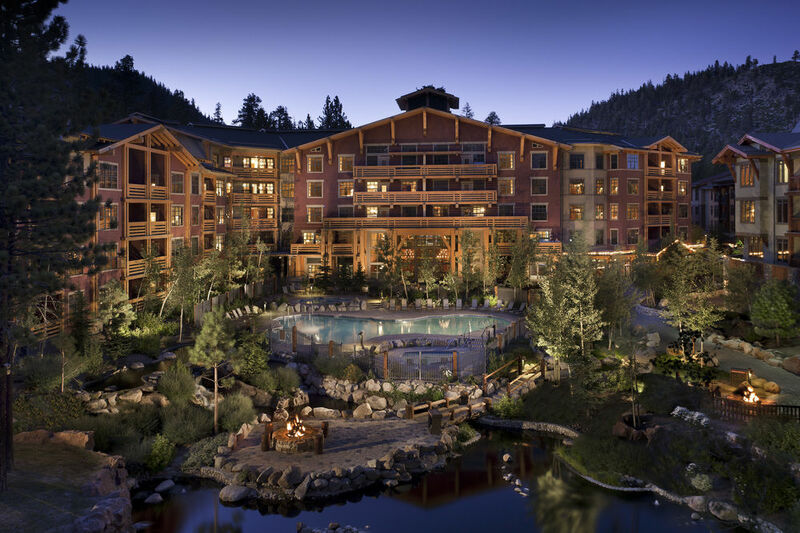 The Grand Sierra Lodge building is located at 1111 Forest Trail, Mammoth Lakes, CA 93546. The complex was built in 2003 and has a total of 111 units. There are a total of 7 different floor plans to choose from: Studio & 1-bath with 580 square feet, 1-bedroom, 1-bath with 601 square feet, 1-bedroom & den, 1-bath with 857 square feet, 2-bedroom, 2-bath with 975 square feet, 2-bedroom, 3-bath with 1,073 square feet, 3-bedroom, 3-bath with 1,457 square feet or 3-bedroom, 3-bath penthouse with 1,881 square feet. The complex amenities feature: Outdoor heated swimming pool, spas, laundry facilities, on-site management, 24-hour front desk & concierge services, fitness center, business center, restaurant & bar (on ground level), underground parking, private owner’s ski lockers, valet & bellman services, and Village shuttle bus route to ski area. The monthly HOA dues are as follows: Studio approximately $681, 1-bedroom approximately $704, 1-bedroom & den approximately $740, 2-bedroom, 2-bath approximately $785, 2-bedroom, 3-bath approximately $812, 3-bedroom, 3-bath approximately $900 and the 3-bedroom Penthouse approximately $1,000.